Nawazuddin Siddiqui, who is currently gearing up for his upcoming film Thackeray where he will be seen playing the lead role of the Indian politician, Bal Thackeray has been getting immense appreciation for his portrayal on screen. The film is a biography on the life of the founder of Indian political party, Shiv Sena and world’s renowned cartoonist, Balasaheb Thackarey. It is not a lesser know fact that, no matter what, Nawaz gets into the skin of his character to prepare for his role. 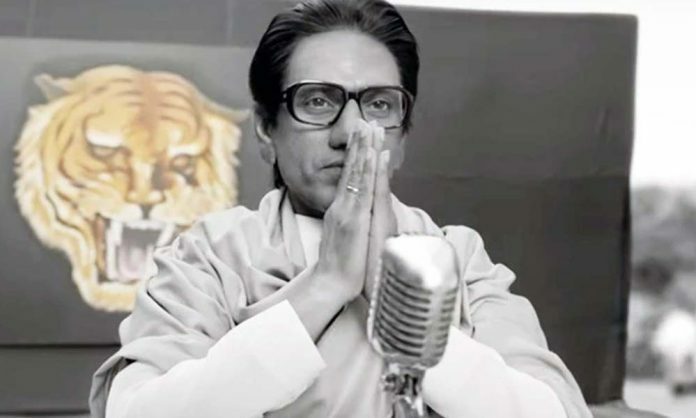 Even with this character, he left no stone unturned to flawlessly portray Balasaheb Thackeray on screen. If sources are to be believed, Nawaz watched more than 100 videos of Bal Thackeray, beginning from his struggling days to the time to became a successful politician. He even locked himself in the room for hours to get his style and accent right. The versatile actor made sure to learn everything about him before he started shooting. However, veteran Anupam Kher, who was recently seen in Accidental Prime Minister portraying the role of Shri Manmohan Singh faced a backlash for mocking him badly. From critics to the audiences, along his with his caricaturish performance, the film was also panned. But going by the current scenerio, Nawaz is been applauded for portraying Bal Thackarey in the right manner. Produced by Viacom Motion Pictures, Carnival Pictures and Raut’ers Entertainment and directed by Abhijit Panse, the film also stars Amrita Rao, who is playing the role of Meena Tai Thackarey; and is all set to hit the silver screens on 25th January, 2019.